One of groups that I follow is The Global Education Collaborative. As I read an email message the other day from Lucy Gray about our recent world events – from Middle Eastern uprisings to the catastrophic earthquakes in New Zealand and Japan – I wondered what are we doing with these events in religious education? Larry Felazzo, is always sharing wonderful links for educators. It is no surprise that he offers the following regarding the Japan Earthquake and Tsunami. All helpful links to learn more about natural disasters. Yet, how are we talking about the “faith” dimension of these experiences? 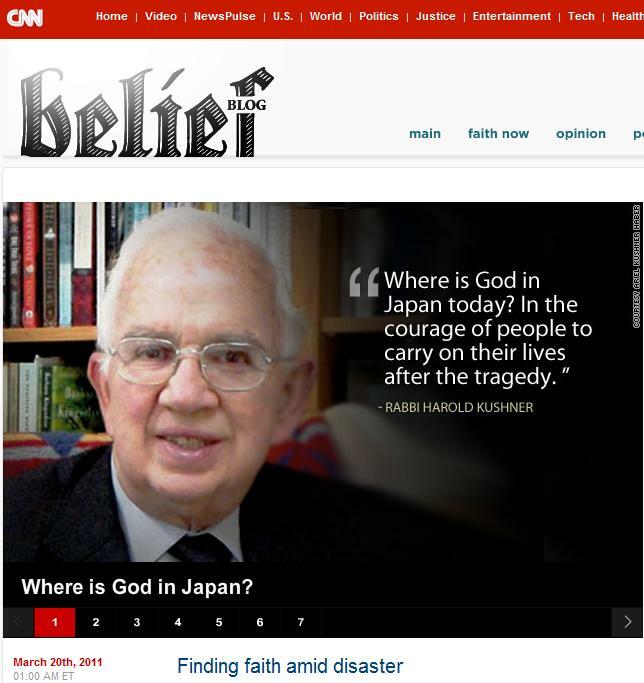 CNN just published a blog post titled “Finding Faith Amid Disaster,” a wonderful post with comments by various religious leaders, including Jim Martin, SJ. In Part III On Present Dilemmas in the book Here’s My Heart, Here’s My Hand by William A. Barry, SJ, there are meditations that address some of the fears evoked in us and aim to help readers engage more deeply in a relationship of friendship with God. Lucy also shared information from Architecture for Humanity and Quest Atlantis, a 3D immersive learning experience for kids. I share these articles with you as they offer a simple way to engage our children to assist those who are suffering because of the recent disasters in their countries. SAN FRANCISCO, March 21, 2011 — In response to the devastating earthquake and resulting tsunami in Japan on March 11th, Students Rebuild has partnered with DoSomething.org’s “Paper Cranes for Japan” campaign to inspire young people worldwide to support their Japanese peers. Paper Cranes for Japan combines the power of DoSomething.org’s deep experience engaging youth audiences and the Bezos Family Foundation’s commitment to help young people connect, learn, and take action around critical global issues. In less than a week, 7 schools in Haiti are making cranes, representing more than 1000 kids collectively folding for Japan; over 7,000 young people posted origami cranes and wishes of support on the “Paper Cranes for Japan” Facebook page and Students Rebuild has had over 200 requests for mailing labels to send in cranes from over 15 different countries including Romania and New Zealand. Building on that momentum, the Bezos Family Foundation announced today a pledge to donate $2 for every crane mailed in to fund Architecture for Humanity’s plan to support Japanese architects’ rebuilding efforts. According to legend, anyone who folds a thousand paper cranes, which are sacred creatures in Japanese culture, will be granted a wish by a crane. With a goal to collect 100,000 origami cranes from young people to represent wishes of support and healing, the challenge hopes to raise $200,000 for the reconstruction of a youth facility by the Japanese team from Architecture for Humanity. The thousands of cranes will go on to become a permanent art installation in a school or youth facility being rebuilt by Architecture for Humanity in Japan. This huge display of cranes will be a symbolic gift from students around the globe. Architecture for Humanity and the Bezos Family Foundation partnered previously through Students Rebuild in response to the devastating Haiti earthquake in January, 2010. Paper Cranes for Japan represents a second Students Rebuild challenge, in collaboration with DoSomething.org, mobilizing young people to connect and address critical global issues including young people in Haiti who know firsthand the devastating impact of a massive earthquake. “DoSomething.org started ‘Paper Cranes for Japan’ as a way for all young people who want to help to do so without a car, an adult, or money. With this partnership, their wishes of support will now translate into funding to rebuild schools and communities,” says DoSomething.org Editor in Chief Betsy Fast. Architecture for Humanity and its teams of local pro bono building professionals in Kyoto, Osaka, Sendai, and Tokyo are actively partnering and lending their services to organizations and community groups to mobilizing around long-term reconstruction efforts. 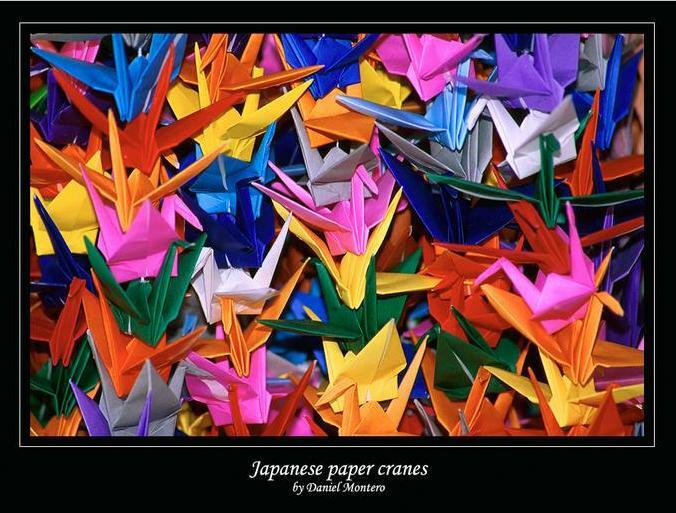 For more information on Paper Cranes for Japan log on to Students Rebuild. Students Rebuild is an initiative of the Bezos Family Foundation that activates our greatest creative resource “young people” to catalyze change on critical issues. Learn more about Students Rebuild and the Bezos Family Foundation. DoSomething.org is one of the largest organizations in the U.S. that helps young people rock causes they care about. A driving force in creating a culture of volunteerism, DoSomething.org is on track to activate two million young people in 2011. Plug in at www.DoSomething.org. Like many of you, we’ve been overwhelmed at the devastation that our friends in Japan are currently experiencing as a result of the devastating earthquake and tsunami. Based on the legend and story of 1000 cranes, we have built an interactive experience in the 3D world. Upon entering Emissary Island, you will see a Japanese boy, Harumu, beneath a large red crane. When you click on him, he will tell you about his concerns about the earthquake and tsunami. We have opted not to talk much about the nuclear reactor issues, as this is still volatile and may cause more concern at this point, but Harumu will give some information to help students understand the situation without causing undue concern or fears. The boy mentions the legend of the 1000 cranes and says he wants to fold 1000 cranes in the hopes that his wishes for his friends back in Japan will be realized. But after beginning the process of folding, he realizes that he needs help…much more help! Students are then invited to follow a path of cranes up the hill in Emissary Island where they can fold a “virtual” origami crane to help with the cause. Before finalizing their crane, they imbue it with one of four wishes: Health, Hope, Comfort or Peace. Once they complete their crane, a confirmation will show up in their Qpack which will contain the kanji symbol for those words. Students are then encouraged to visit the bulletin board to post on how they can engage in real world efforts to help the people of Japan. They will find a 3D video on origami crane folding should they wish to organize an effort in their school or fold their own REAL paper crane, and they will learn of other real world ideas to promote a sense of activism. Upon completion of the activity, students will earn a special t-shirt, red with an origami crane, as a symbol of their participation. Students can fold as many interactive cranes as they like, and an interactive tally board will show them how many cranes have been built to date. We hope you will encourage your students to participate and to wear their special t-shirts to display our solidarity and our best wishes for the people of Japan during this time of unthinkable hardship. Should you wish to make real origami cranes in your classroom, check out this link for a wonderful 3D video that shows you how to build an origami crane. (Our thanks to creator Derek Stancombe who graciously allowed us to put the video in the 3D space). Click this link, Sadako and the Thousand Paper Cranes, to learn more about the non-fiction story which has inspired a world. For older students, you may want to encourage them to make a crane and upload an image on Facebook. Dosomething.org is currently holding a campaign to make 100,000 cranes worldwide! Learn more at Dosomething.org. Encourage your students to post ideas on the bulletin board associated with this activity. We are hoping that students will feel compelling to find some way to help, however small, in their schools or communities. My thanks to Bronwyn Stuckey, Steven Caldwell, and Kevin Johnson who helped us generate ideas and outline the experience, and my thanks to members of the QA team, Ed Gentry, Janis Watson, Stephanie Scharf and Brenden Sewell, who quickly jumped on the idea and helped bring it to life. So, these are some “faith” ideas to use at this time. Perhaps you would like to share what you are doing!